In the Analytical Writing section’s “Analyze an Argument” task, you’ll critique a short argument that’s being made for or against some prediction (“profits will rise”), explanation (“genetics is the cause”), recommendation (“repeal the ban”), or other topic of debate. Your directions may be to ferret out hidden assumptions or to identify evidence that could help or hurt the argument. Either sort of analysis takes practice, and doing certain Reading Comprehension questions can help. Practice material for Analytical Writing is free and plentiful. Every essay prompt used on the exam—Issue task and Argument task—is available online. Here’s the rub. 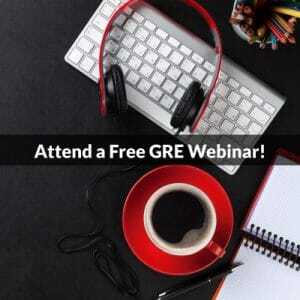 Unlike GRE Verbal and Quant exercises, AW essay prompts don’t come with an answer key (not that they could, mind you, given that different essays can earn the same score). ETS doesn’t leave you totally in the dark about scoring. You can read real essays, with comments from ETS, that illustrate what will earn you a high (or a low) score. Also, you can pay to have practice essays evaluated by e-rater, an automated essay scorer developed by ETS. Although e-rater evaluates just your writing quality, not your ideas and analysis, the program tends to give human-like scores. Still, for unequivocal feedback on your performance, it’s tough to top what ETS gives for multiple-choice questions—namely, a list of letters you should’ve picked. Obviously, ETS doesn’t offer that kind of feedback for essays. But it does for Reading Comp. questions. Reading Comprehension and the Argument task aim to test some of the same skills. Consequently, you can analyze Argument topics to get ready for Reading Comp and do Reading Comp. exercises to prepare for the Argument task. Say you need some help exposing hidden assumptions or identifying supporting/defeating evidence. Try answering Reading Comp. questions that ask you to spot an author’s assumption or strengthen/weaken an argument. 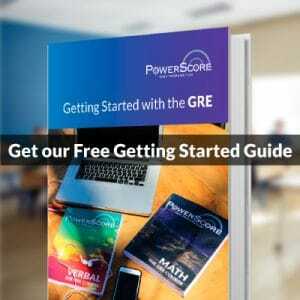 You’ll find 20 such questions spread among The Official Guide to the GRE, the Official GRE Verbal Reasoning Practice Questions, and the free Practice Book for the Paper-based GRE. Download the free Practice book and let’s look at an assumption question—Section 4, Question 15. Extensive housing construction is underway in Pataska Forest, the habitat of a large population of deer. Because deer feed at the edges of forests, these deer will be attracted to the spaces alongside the new roads being cut through Pataska Forest to serve the new residential areas. Consequently, once the housing is occupied, the annual number of the forest’s deer hit by cars will be much higher than before construction started. To test whether an argument depends on a given claim, ask whether that claim’s being false would weaken the argument. Only (D) passes this test. Deer-meets-car collisions won’t spike after the development if too little forest and, with that, too few deer remain. Imagine, for instance, that before the development Pataska Forest was home to 100 deer and roughly 10 per year were hit by cars. If the development leaves enough forest for just 11 deer, then at most 11 per year will be hit by cars, which isn’t “much higher” than 10. When you’re writing your Analyze an Argument essay and you think you’ve uncovered a hidden assumption, put it to the test: Imagine the assumption is false and see whether the argument’s conclusion still holds up. If it does, try again to think of a claim that, if false, would undercut the conclusion. Let’s look now at a Reading Comp. question that asks you to weaken an argument. (See the Practice Book, Section 3, Question 14.) This type of question requires you to identify a claim that, if true, would cast doubt on the argument’s conclusion. Last year, Mayor Stephens established a special law-enforcement task force with the avowed mission of eradicating corruption in city government. The mayor’s handpicked task force has now begun prosecuting a dozen city officials. Since all of these officials were appointed by Mayor Bixby, Mayor Stephens’ predecessor and longtime political foe, it is clear that those being prosecuted have been targeted because of their political affiliations. Which of the following, if true, most weakens the editorial’s argument? To weaken an argument, deny the conclusion and then explain how the premises can still be true. In this example, suppose that the prosecutions are not motivated by political affiliations. Then why is it that all of the officials who are being prosecuted are also appointees of the current mayor’s enemy? A good reason would be (C). If (C) is true, the mayor’s taskforce could pick a dozen city officials at random—thus ignoring any link to Bixby—and all twelve would still very likely be Bixby appointees. Here’s another way to weaken an argument: raise doubts about one or more of its premises. However, in the Argument Essay the only premises you’ll challenge are implicit ones, also known as hidden or unstated assumptions. When it comes to the argument’s stated assumptions, do as we just practiced: show that those premises, even if true, provide little to no support for the conclusion. One thing we haven’t practiced is strengthening arguments. You can get started with another problem from the GRE Practice Book. Try Section 3, Question 25. And don’t forget to do more Reading Comp. exercises that ask you to weaken an argument or identify an assumption. You’ll be studying for two sections of the exam at once and, throughout your prep, getting clear-cut indications of the best answers. Want to try a “strengthen the argument” question with the answer and explanation ready-to-review? Check out this post: GRE Reading Comp Challenge: Strengthen the Argument (and Save the Robins).